An 8.5x11 inch Christmas Flyer with a poinsettia on a green and white background. Fill in the easy template below and we'll send them your way for the holidays! 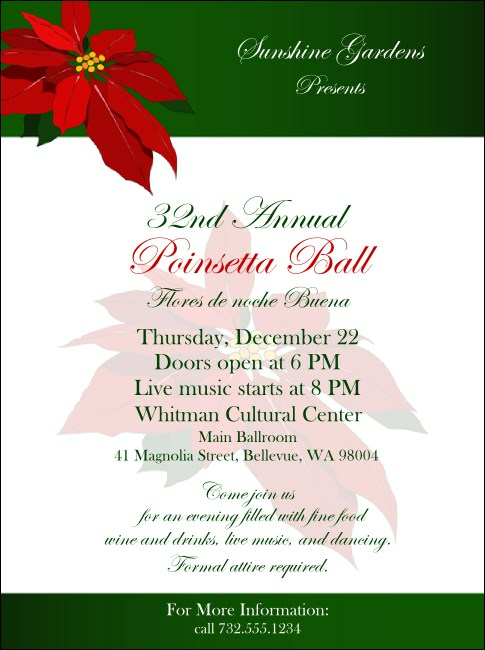 Show your true holiday spirit with this poinsettia TicketPrinting.com.